The Ruffwear Web Master has been the most popular harness we’ve recommended for helping three legged dogs since launching the Tripawds Gear Shop in 2009. Now we are excited to announce that Ruffwear is making the Brush Guard attachment for all their harnesses! Watch this short video for a quick overview of the new features, and stay tuned for a detailed product review. The Brush Guard attaches in minutes to provide additional support when lifting and assisting dogs. For ease of use, size your harness to fit first, then attach the Brush Guard to the straps with its Velcro enclosures. When you purchase from Tripawds, your cost includes shipping to anywhere in the continental U.S. via ground delivery (5-7 business days). Texas residents pay applicable sales tax. ONLY AVAILABLE TO U.S. CUSTOMERS. Find international dealers here. 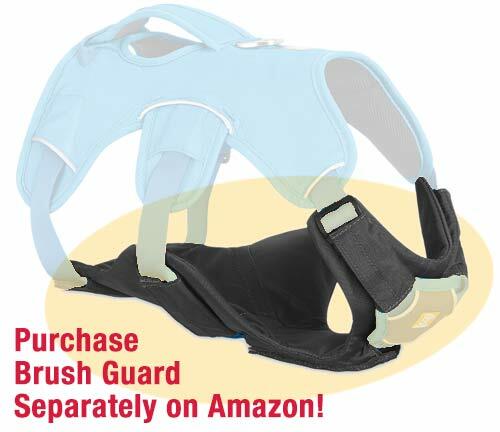 *The Web Master Plus Brush Guard attachment is available in the Tripawds Gear Shop and the price includes shipping! If you already have the harness, you will save money on the Brush Guard at Amazon. Such a great product!! Love the addition! But I have to say, watching the “outtakes” cracked me up!!!! Thanks for introducing such a great product AND for giving us some great laughs!! Thanks for asking Pamela! Please see this list of international retailers, including Top Dogs of Australia. 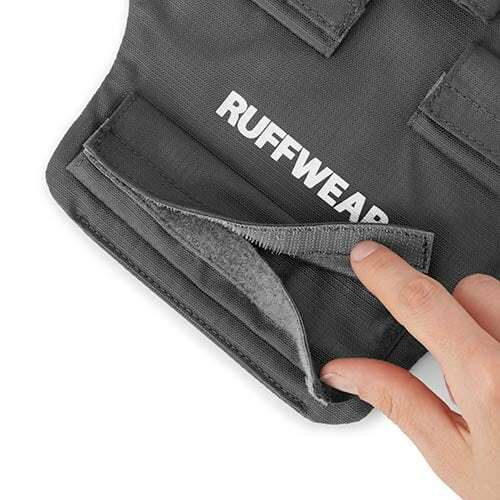 We are unable to ship Ruffwear products outside the United States. Try clicking the “Order Web Master Plus Here!” for complete purchase information. As for a rehab instructor, find certified practitioner directories on the Tripawds Resources page. what would you recommend for a growing 3month old ACD? 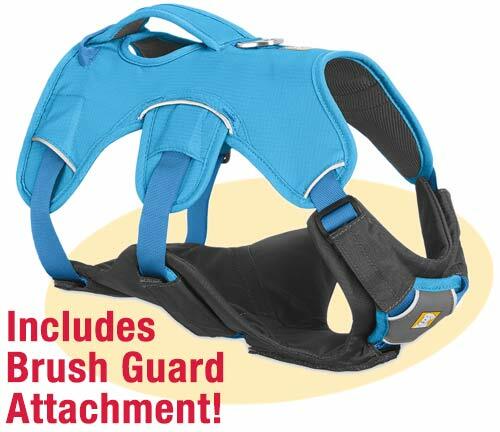 The Webmaster Plus Brush Guard is the most popular all support harness recommended for most Tripawds. Read the various other posts for help deciding which harness is right for you if necessary.